Comes with Duvet Cover & pillowcase/s. Machine washable at 40 degree. Check Grey Boxes Duvet Set Quilt Bedding Cover and Pillowcase Bedding Set. A timeless and modern checked print that is perfect for any modern or traditional bedroom decor. 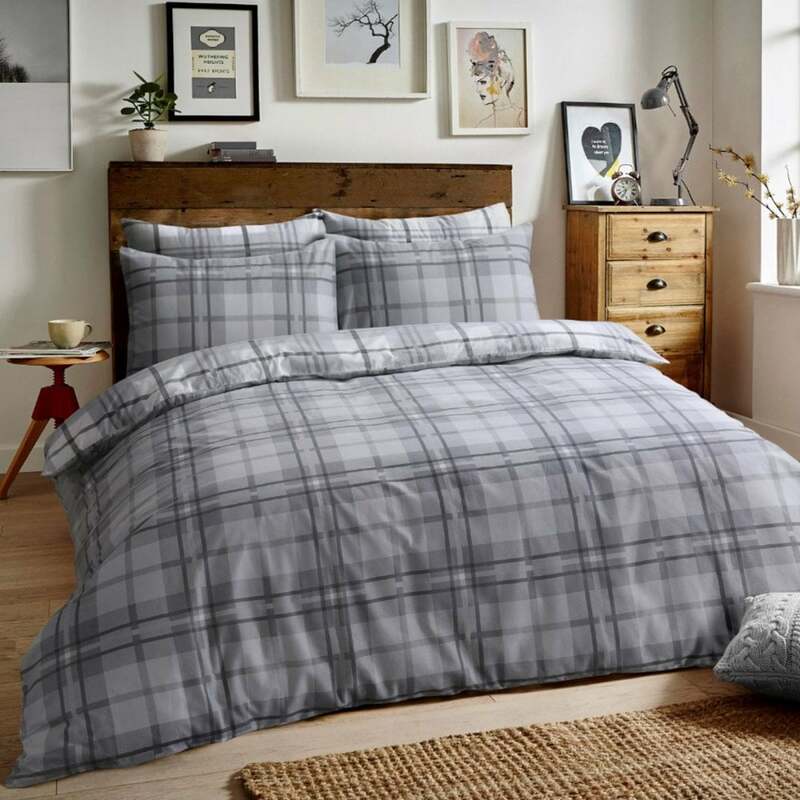 The beautiful Grey Check Duvet Cover & Pillowcase Set features a stunning classic check Boxes with Different colours and on the reverse too.